The reviews have now dropped for the Samsung Galaxy S7, and it looks like it is an amazing handset. While on the outside it looks very similar to its predecessor, the Samsung Galaxy S6, the Galaxy S7 is packed full of cool new features – making this a very exciting new smartphone. Now, please read this article to learn the easiest way to sync everything from your old Samsung phone to the incredble Samsung Galaxy S7. 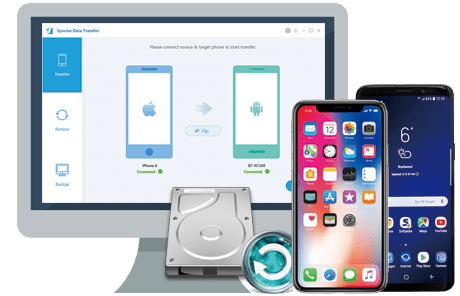 With original backup method, you will suffer data loss, so it is a nice solution to turn to the professional third-party backup tool - Syncios Mobile Phone Backup and Restore Tool. You can backup everything on your Samsung Galaxy Phone within three steps. 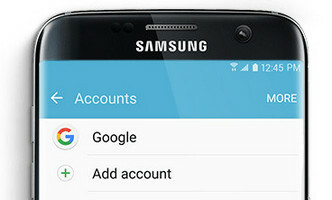 It allows you to backup and restore contacts, app, calendars, music, video, photos, SMS, call log and more to your Samsung Galaxy S7 whenever you need. Step 1. 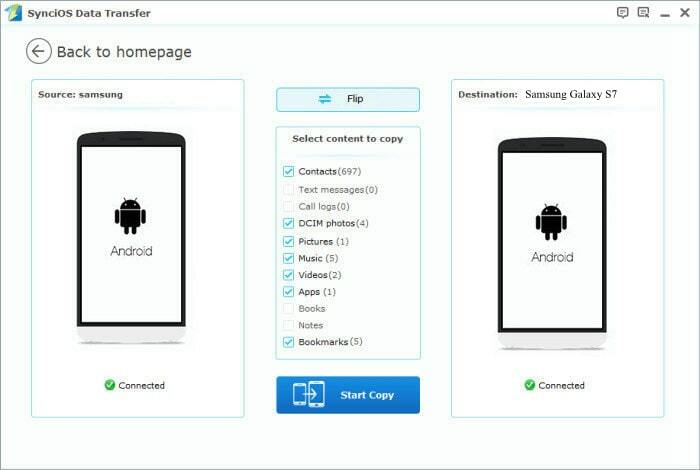 Download Syncios Program and Connect Your Samsung Galaxy S7 to PC. 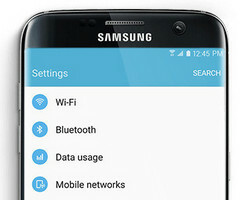 Open this professional Samsung Galaxy S7 data backup & restore tool on computer, connect your Samsung Galaxy S7 to PC using the cable provided with your device . And you now can see the primary window of Android backup app. Click the Backup button. Then it would display the the backup list. The following screen will allow you to select items you would like to back up onto your computer. On the right side of the panel, you will also have the option to change or choose the location of the backup data. Select the Flip button to exchange source phone and target phone. After making sure your data are chosen, click Start Copy button in the middle bottom. 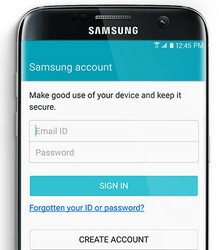 During this time, make sure your Samsung Galaxy S7 phone is not disconnected from the computer. After a while and all the data will be restored into your Samsung Galaxy S7, you will get the pop up message Copy Completed. Click OK, the backup folder will automatically open. What can they transfer from iPhone to Samsung? 3.Select data to transfer and click Start Copy. Use iTunes as intermediate Need to install iTunes, no need for using when syncing data. 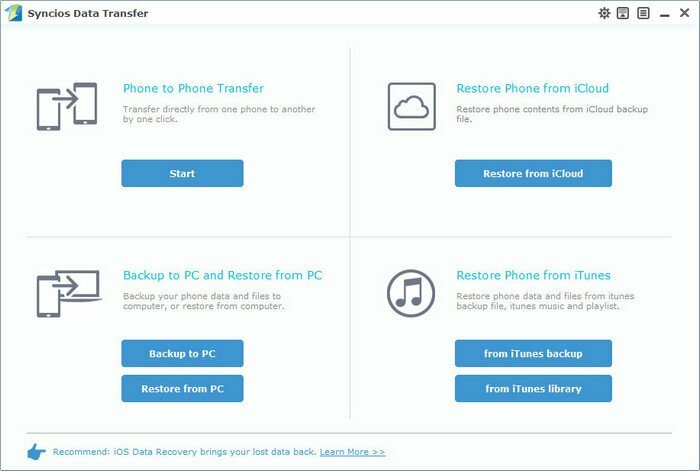 How to transfer data from PC to iPhone? How to backup and restore Samsung Galaxy S7/S7 Edge?